I spelled the word “faire” just like they did over there so don’t spellcheck me! 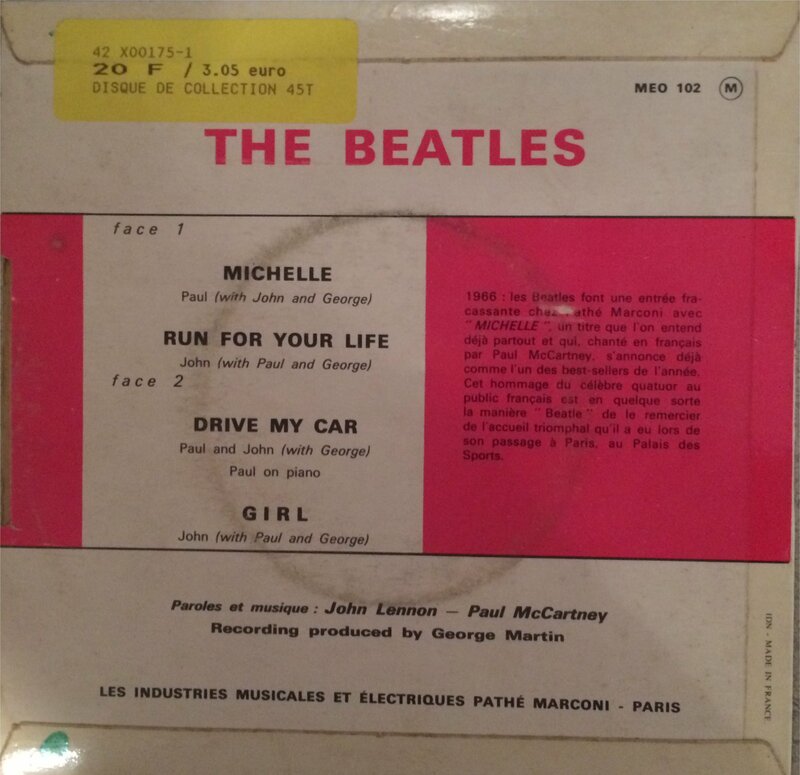 Here are a few tidbits I picked up from The Beatles trade show. 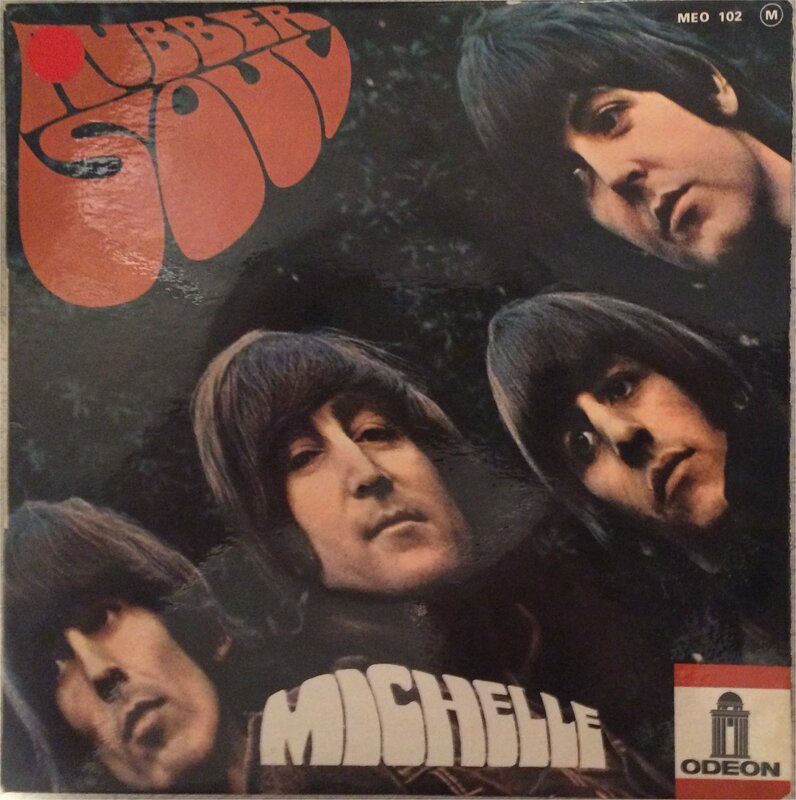 First is a French EP (4 songs) from the Rubber Soul album. Capitol Records really butchered all the Beatles albums (they found they could make more money on The Beatles craze by releasing more albums if they put only 12 songs on an LP as well as sometimes adding songs that were only released as singles in the UK). When “Sgt. Pepper” came out Capitol finally started releasing the full albums intact. As you can see the EP contained 4 songs from that album on the British version. The US album, “Yesterday and Today” was home to “Drive My Car”.